Sign Up now for a $5/month discount and early access! Train like a ninja with voice-over workout videos. Alternative exercise videos based on your fitness level. Track your progress pics, goals, and share with friends. Minneninja App is a partnership between Plankk. and Jennifer Tavernier. 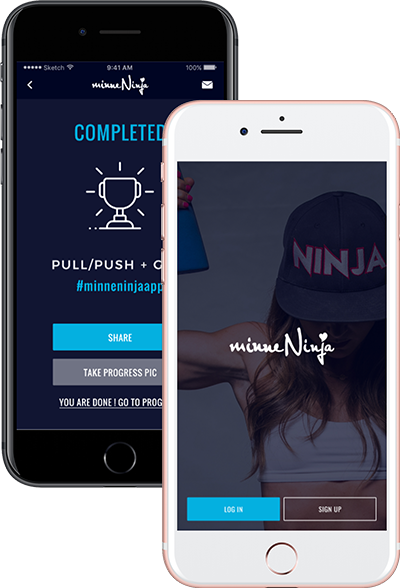 Congratulations on becoming an Minneninja App insider! We'll notify you of the early release with your discount! Share now with your family, friends and co-workers!